When you spend time cleaning your home it’s easy to focus on the cleaning chores that are right in front of your face. Dishes, laundry, dirty floors and bathrooms usually get noticed and cleaned regularly. But what about the areas of your house that are less obvious but may still be collecting dirt, germs, and grime that needs regular cleaning? Take a look at these 10 areas of your home you’re forgetting to clean! 10 Areas in Your House You’re Forgetting to Clean! Most of us clean the furniture when it appears dirty. Wiping down tables and chairs or spot cleaning or vacuuming the couch. But when was the last time you looked at the underside of your furniture? When you decide to take a look, you’ll probably be shocked at the dust, hairballs, and spider webs clinging to the undersides of your tables, chairs, couches and end tables. Though they aren’t visible, dust in the house is still a hazard and no one wants spider’s eggs under their dining room table. Make a point to clean under your furniture at least every six months or so to remove the grime that collects underneath and out of sight. Just like the undersides of your furniture gets dirty out of your sight, the high places in your home also tend to collect dust, spider webs, and grime that never gets cleaned. The high places throughout the house, including the tops of doors and cabinets, are one of the most common places many of us forget to clean. Next time you dust the house, get a step stool or a long-handled duster and wipe the dust from the tops of your doors and cabinets. 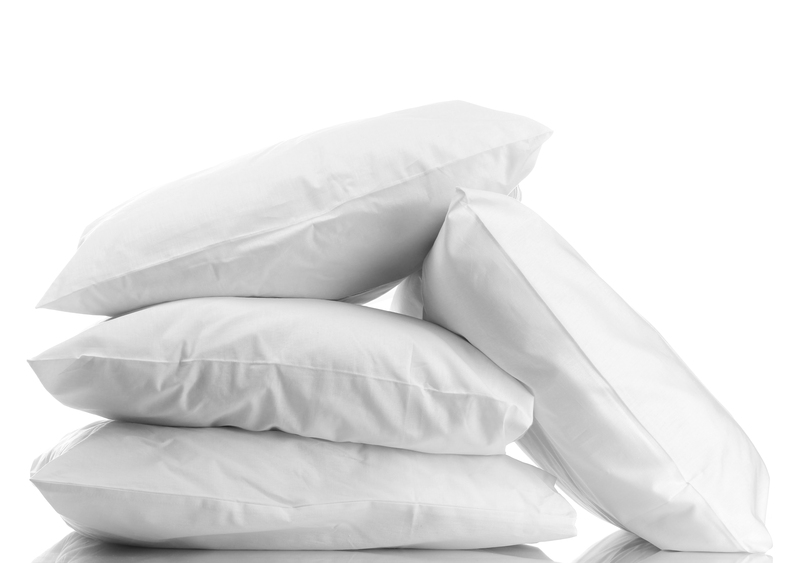 When was the last time you washed your pillows? 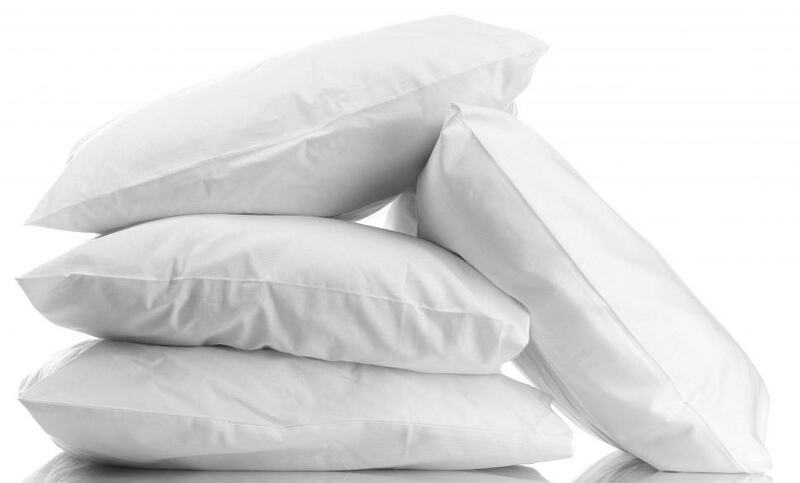 Even with pillowcases being washed regularly, most pillows need to be washed every six months. Many down and synthetic pillows are machine washable which makes this an easy cleaning fix. Pillows collect germs, dust mites, and all kinds of things you wouldn’t want to know you’re sleeping on. 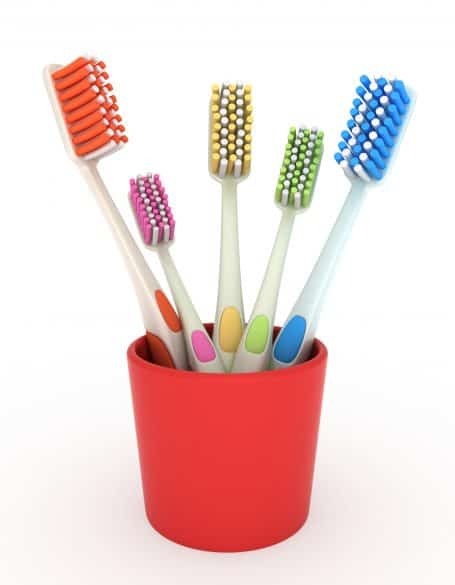 So, cross them off the list of areas of your home you’re forgetting to clean and give them a quick wash.
Toothbrush holders are serious collectors of germs in many households. And something many of us forget to clean as often as we should. The easiest way to clean your toothbrush holder is to run it through the dishwasher regularly. If that isn’t an option, consider a regular wash with dish soap and sanitizing with a water and bleach solution. Doorknobs are constantly in contact with human hands and all the germs they have on them. They need to be wiped down regularly to stop the spread of germs and keep them clean. This includes closet door handles and those on cabinets and wardrobes. Take a quick run through your house and wipe down all the doorknobs you’ve been forgetting to clean! Similar to doorknobs, light switches have hands on them constantly sharing germs but don’t often get cleaned. While you’re wiping down your doorknobs, it’s a good idea to wipe down your light switches as well. Whether your indoor plants are fake or the real thing, the probably collect more dust than you imagine. Outdoor plants usually get regular cleaning from the wind and rain. But when you have plants indoors, it’s your job to keep them clean. Real plants that are small enough can be taken to a shower for a quick rinse under water. Or if they are too big for that you can usually mist them with some water and wipe them down. For most silk plants and some real ones, a damp cloth or paper towel is a good way to wipe down dusty leaves. For live plants, consider the needs of the individual plant to make sure you don’t over water or cause damage in your attempt to get the dust off. Over time dirt works its way through the fibers of area rugs to the underside. Even with regular vacuuming, the underside of your rug can get quite dirty. It’s a good idea to flip your rug and vacuum the underside at least once every couple of months. And to sweep loose dirt out from under the rug and away from the edges. 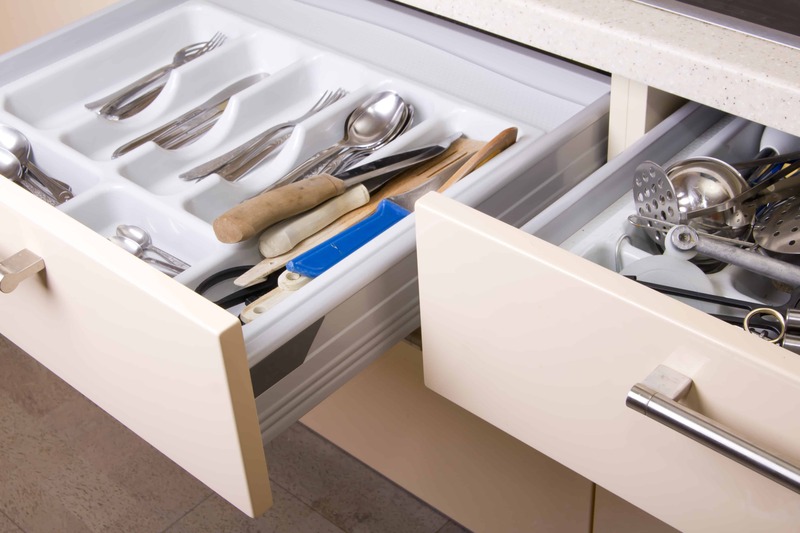 When the counter above your utensil drawer is a workspace for preparing food or storing it, you can imagine how easily crumbs end up in the utensil drawer. So much for your clean utensils! This drawer needs emptied and wiped out on a regular basis to keep from collecting crumbs. Ever notice a bad smell even after you take out the garbage? Chances are your trash can itself could be the cause. Over time the inside and outside of trash cans can get pretty gross. It’s a good idea to clean your trash can at least once a month. Wipe down the outside and inside with soap and water or an appropriate cleaning spray. And make sure your trash bags are put in correctly so that stray garbage isn’t falling into any gaps between the bag and the can. Now you know the areas of your home you’re forgetting to clean, there is no time like the present to get started. Most of these cleaning chores are easy to build into your regular cleaning routine with just a few additional steps.